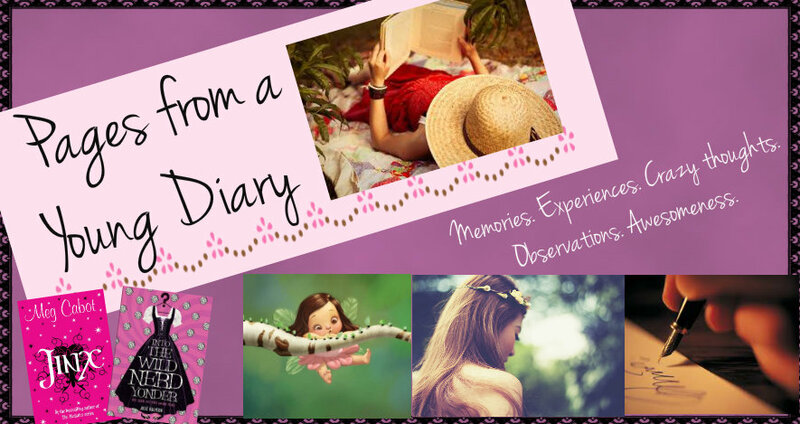 Pages from a Young Diary: Life Update! We’ll be reaching there on Friday and then we’ll pass the time by ... well, passing time. And how do I know? I’m no antaryami. Maybe I’ll be having fun for real, or maybe I’ll be sitting in the shade reading books. Or maybe I’ll be playing with my younger cousins. I want to take a day out for visiting a place we used to visit as kids. There’s a wonderful waterfall and it’s a beautiful place, but it’s many miles away, so I’m only hoping God would be with me for once and make that happen! That’s about the only part I’m most interested in. I mean! I can totally recall the last time. :D Eeep! It was awesome. I was young and eager and loved adventure and that was all kinds of awesomeness. I still love adventure, though. And that place would still be awesome. I love waterfalls! They’re so beautiful! We’ll be staying there till Monday and I’ll be back on Tuesday. Then by another week my internship would end and I would have about two weeks before college starts again. Maybe I’ll post as soon as I’m back or maybe I won’t! :P I just hope I get something fun to write about. It’s getting just morose these days. PPS- I’m so addicted to PSs and PPSs. I'm still worried about the declining length of my posts. Firstly wishing you a great trip. Be safe and enjoy yourself! I love journeys in any form - bus , trains, planes, 2 wheelers, 4 wheelers - for I get loads of ideas and I am at a place which I like to state as being in nothingness. Not here neither there.... just somewhere in between and I simply love that feeling. Hope you get loads of ideas and have tons of fun. Chal, now have fun (I've said it for the 3rd time!) and I'm looking forward to the pics!! PS:I love the new theme of your blog. Its so colorful and fresh!